2. Cook bacon in a skillet until crispy. Remove from skillet, drain and chop. Set aside. 3. To the same skillet, add mushrooms and bell pepper. Season with salt and pepper. Cook for 5 minutes until softened and the edges begin to brown. Add spinach and cook until wilted. Remove from heat and set aside. 4. 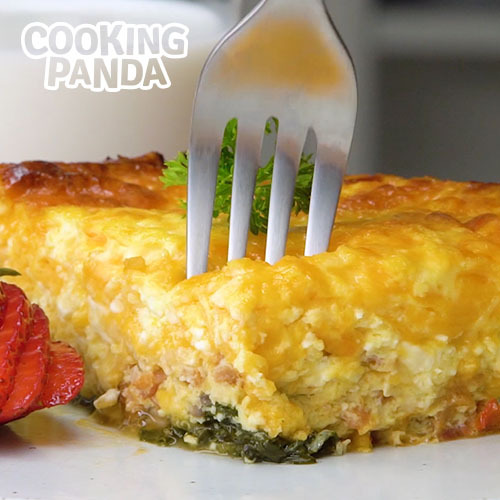 In a large bowl, beat together California cottage cheese, eggs and whole milk until combined. 5. 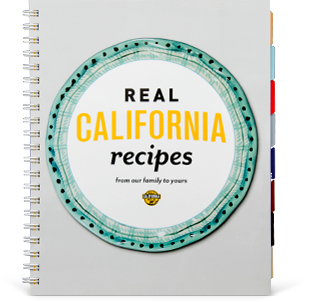 Grease a 9x13-inch baking dish with California butter. Add veggie mix and chopped bacon to the bottom of the baking dish. Top with most of the California Colby-Jack and California cheddar cheese, reserving some. Pour egg mixture evenly into dish. Top with remaining cheese. 6. Bake for 45 minutes. Remove from oven and allow to cool for 5 minutes.